Flight Captain: Good morning, Scott. Berlin courtesy of Geffen Records and Phonogram B.V.
Q: What aircraft are seen in the movie? Q: Which motorcycle does Tom Cruise ride in the movie? Q: What are the Top Gunners' real names? There is a school of thought that says all movies should be compared on an absolute scale. It would say that movies must have a high level of credibility or familiarity in order to be "good" movies. 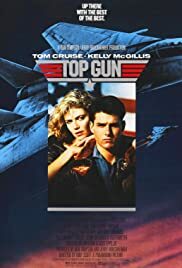 People who fall into this category simply should not watch Top Gun. They won't enjoy it. Other people take the opposite, but no more valid approach of looking a each movie individually, disregarding all else but the movie. For these people, no outside reality or credibility is important, because for them, a movie exists to entertain in whatever way it chooses to. These people would enjoy Top Gun very much. 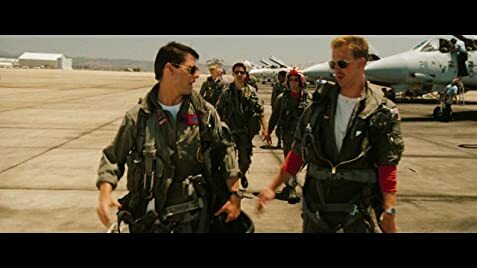 It is extremely doubtful that the producers ever even considered making Top Gun as a portrait of a fighter pilot's life, and this is why it is entertaining. It is a rare type of movie, one that no one dares to make today, one that not only transcends reality, but wears it as a mask into the world of fantasy. 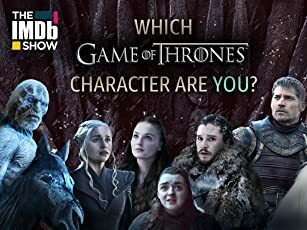 Everything from the wild dogfights to the fake love to the over the top glamorized (or should I say canonized) characters lets you know that this is a good old American hero drama. That is why it is a horrible and fraudulent portrait of reality, and that is why I love it. 45 of 57 people found this review helpful. Was this review helpful to you?